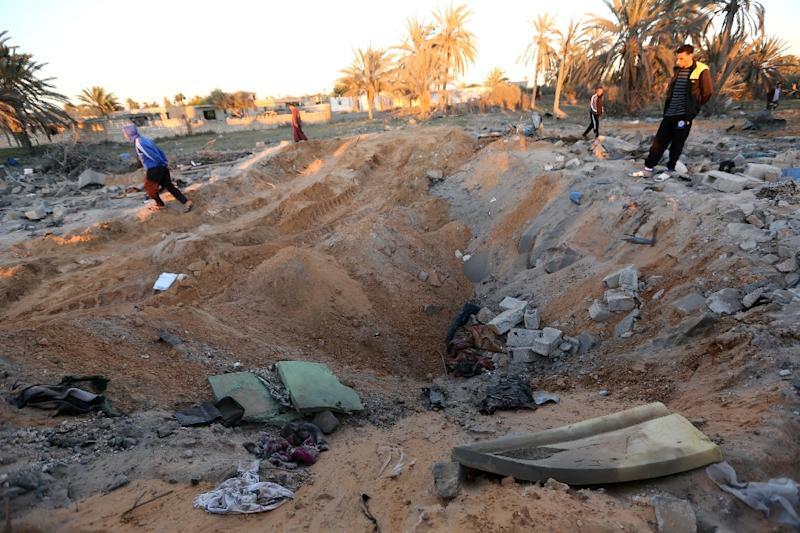 Tripoli (AFP) - Libya's internationally recognised government Saturday condemned a US air strike west of Tripoli believed to have killed a top Islamic State group operative and dozens of others the previous day. In a statement, the government, based in the far east of the country, denounced the raid targeting an IS training camp in Sabratha, saying it was not coordinated with the authorities and was "a clear and flagrant violation of sovereignty of the Libyan state". Friday's US air strike was believed to have killed Noureddine Chouchane, suspected of being behind the mass murder of tourists on a Tunisian beach, but it also killed two kidnapped Serbian embassy employees. US officials said Chouchane, also known as "Sabir," had been planning attacks against American and other Western interests along with other jihadists. Chouchane is suspected of being behind both the beach attack in July 2015 near the Tunisian city of Sousse that killed 38 tourists, including 30 Britons, and an attack on the National Bardo Museum in Tunis that killed 21 tourists and a policeman in March 2015. Both attacks were claimed by IS. Oil-rich Libya has had rival administrations since the summer of 2014. The internationally recognised government fled Tripoli after a militia alliance including Islamists overran the capital in August that year. The alliance has established its own administration and parliament called the General National Congress. The United Nations is pushing both sides to back a unity government to tackle jihadists and people-smugglers.